This ground-breaking book on singing and the psychology of performance is a must-read for every artist working today. Using the medium of the voice, Jennifer shares her insights and experiences as a voice coach, therapist, and professional singer, which will open your eyes to how we all- musicians and others- allow fear, doubt, poor learning habits, preconceived notions, and overthinking to get in the way of clear and healthy singing, self-expression, and living. The accompanying CD, in Jennifer’s own voice, captures a conversation about her approach and ideas, as well as exercises that will help you discover and develop your true and best instrument. 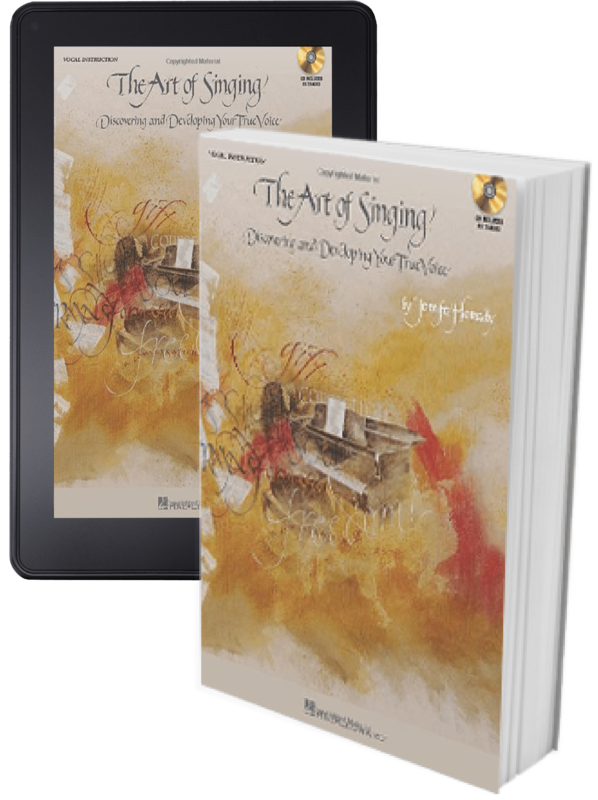 Singers of every age, level, and musical genre will benefit from this insightful first book in Jennifer’s The Art of Singing series…Read more. “No other book has influenced me for singing and teaching than this book. Jennifer’s ideas illuminate the essence of true singing as no work before or since. I have been recommending this book to my students for years now. Without fail their reviews are all the same. The lights click on. Confidence rises.